As young adults, once we hit the 20s, we tend to question ourselves on when we should start using anti-ageing products. Does our skin need that extra nourishment? When we want to keep and maintain our youthfulness and flawless skin. Especially for the eye serum product, when do we start to use eye creams? What does eye serum do? Does it even work? All these commonly asked questions asked by many will be answered here just for you. Our eye area is the most fragile and delicate area as it is ten time thinner than our face. It is also the first area to become weak particularly from the constant use of smiling, rubbing and squinting your eyes. In addition, without constant care and extra moisture for the skin, your skin will age and the area around the eyes will be the first to show signs of fine lines and wrinkles. Maintain the eye area with hydration is essential to prevent fine lines and wrinkles from forming. Hydration and extra nourishment will help the skin by replenishing and nourishing the under and around the fragile eye area. It helps in smoothing the skin and reduce the signs of ageing in minimising the appearance of fine lines, wrinkles and puffiness. With constant use of eye serums, it will result to a lifted, plump and youthful look. It is recommended to start using eye serums in your 20s. There’s no correct period on when you should start using anti-ageing products. But it is best to start early to prevent any ageing signs on your skin. The skin specialists from Mica Beauty shared that when you are in your early-20s, you don’t have to overload your skin applying heavy cream, so use an eye cream or eye serum with a lightweight gel or cream consistency. Then, once you are in your late 20s, you can start using an eye serum with more nutrition and moisturising effect. 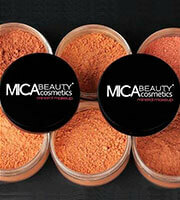 Mica Beauty skin specialists suggest Mica Beauty’s Pearl Anti-Wrinkle Eye Serum as your go to eye serum. This serum not only reduce the signs of fine lines and wrinkles, it also improves the clarity of the skin, heals and prevent blemishes also creates the skin’s elasticity, reducing the darks spots around the eyes too. Mica Beauty customers shared they love their eye serum as they can see the difference with their friends who doesn’t use eye serum in their own age group. Hailey, 40 shared she have been using eye serum, although she still has fine lines, but with the comparison with her best friend, Tess. Hailey’s fine lines around her eyes are less visible compare to Tess. Start using creams or serums for the eye now to prevent and reduce the signs of ageing and still have your youthful look in the 50s.